Culkin Hall was opened to the public in September 1967. It was originally intended for the general administration offices of the college and still functions as SUNY Oswego’s primary administrative building. 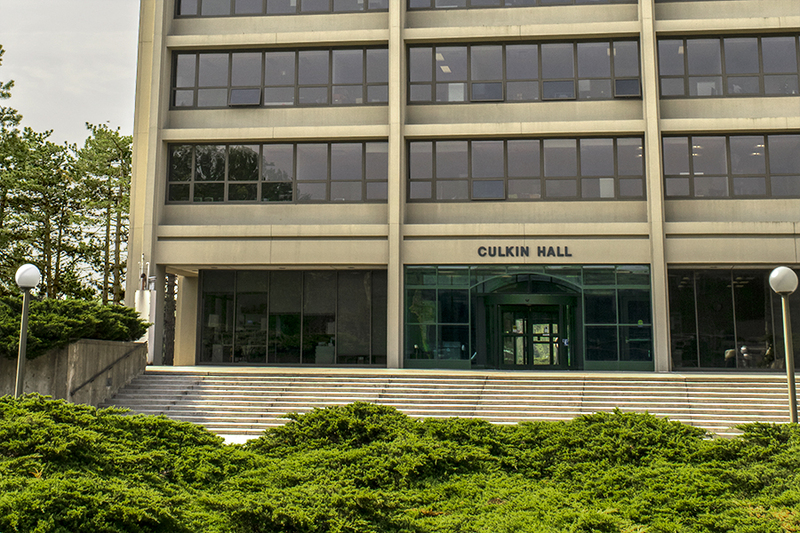 Culkin Hall is named for Francis D. Culkin, who was born in Oswego on November 10, 1874. One of his earliest major accomplishments was enlisting to serve in the National Guard during the Spanish-American War, where he served in the until the end of the war. He was appointed Oswego County Judge in 1921 and was selected as the surrogate U.S. Representative of New York’s 32nd District in 1928. Although Culkin was originally awarded his position as a stand in, he won the subsequent election and served in the House until 1931. He was known throughout the Oswego community as an advocate in the children’s court for children with disabilities. He “protected and conserved, as well as gave an equal standing” to children with disabilities. Thanks to Culkin, Oswego County was an innovator in the field of educating children with disabilities.